Weekends are for your roommate being away so you have no shame about sitting on the couch and shouting at the TV while eating nothing but pizza for two days. Also, video games. 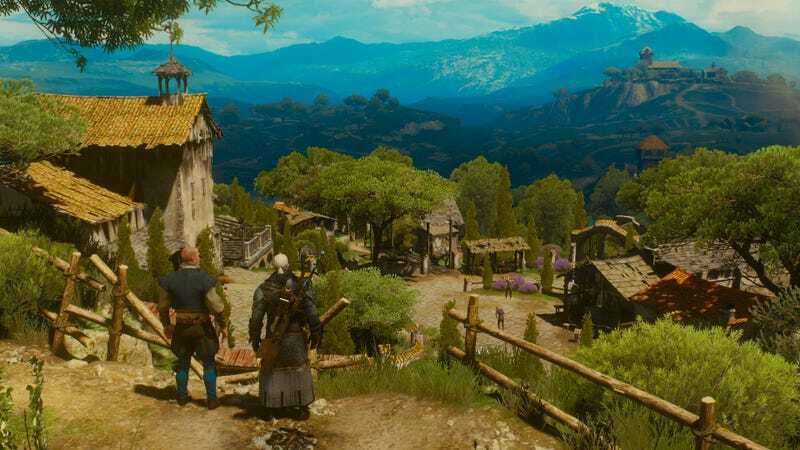 I’m finally into the Blood and Wine DLC for The Witcher 3. Someone who is TOTALLY NOT ME started it last weekend while drunk and lost all Geralt’s money buying paintings and sucking at Gwent and now doesn’t have any money for other stuff. That person sure will have to grind a lot of money in The Witcher 3 this weekend. Bummer for that guy. I’m also going to play some Sunless Sea on my iPad, since it came out yesterday. And I’ve been obsessed with this mobile game Card Thief so will probably start playing it while doing something else and then spend hours doing that. What about you? What are you playing this weekend?